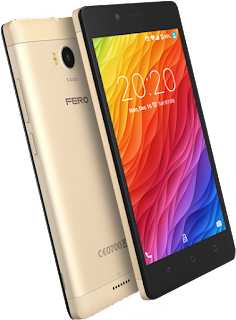 Fero Mobiles is known for producing budget smartphones aimed at entry-level Android users in their target markets, and the recently-launched Fero A5002 is another addition to that catalogue of affordable smart devices. Also known as the Fero Aura 5002, the smartphone has a decent 2,500mAh battery capacity and 8MP rear camera, features quite uncommon in smartphones at its price range. This is perhaps the first step in the improvement in the features of the company's budget smartphones while still keeping the price at an affordable level. 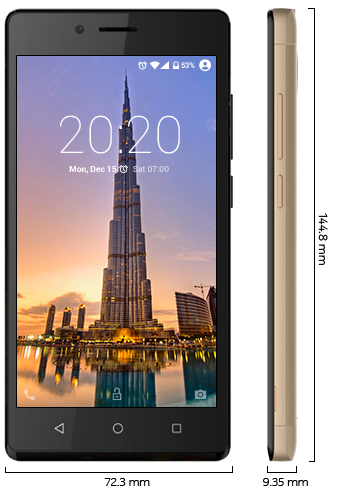 The Fero A5002 comes with a 5-inch IPS LCD display which is covered with Asahi Dragontrail Glass and has an FWVGA (480 * 854) pixel resolution. The Dragontrail glass protects the screen from shattering when it is impacted strongly (from a fall, for instance), and this is a nice addition to a budget device. In terms of design, the A5002 has that basic budget smartphone look, with capacitive navigation buttons, large bezels and plastic build material polished to look like metal. The smartphone is quite thick at 9.35 millimetres, but doesn't weigh too much at 137 grammes. The Fero A5002 is powered under the hood by a quad-core Spreastrum SC7731C processor which runs at a maximum speed of 1.3GHz. It comes with 1GB of RAM for multi-tasking, and there's 8GB of internal storage onboard which can be expanded up to 32GB with the use of an external microSD card. The Fero A5002 is powered by a 2,500mAh battery that can be removed by opening the rear cover of the smartphone. The battery capacity is more than we're used to seeing in budget smartphones in the price range of this device. An 8MP camera which has autofocus and is assisted by a LED flash handles main photography on the rear of the device, while a 5MP camera takes care of selfie photography at the front. These camera specs, too, are more than we're accustomed to seeing on budget devices. Here, we're brought back to the reality of the fact that the Fero A5002 is still a budget smartphone, as it doesn't support 4G LTE network connectivity and runs on Android 6.0 (Marshmallow) which is quite old as far as Android software versions go...I mean, even budget devices run on Android 7.0 Nougat out of the box these days. 5-inch IPS LCD display with FWVGA (480 * 854) pixel resolution & Asahi DragonTrail Glass protection. 1.3GHz Quad-core Spreadtrum SC7731C Processor. 8GB Internal Memory, expandable up to 32GB via microSD. 8MP Rear Camera with Autofocus and LED Flash. The Fero A5002 is currently available in offline and online retail stores across Nigeria for N22,500 and can be purchased in Kenya for Ksh. 6,000.